1.3 16v micras> do the exsist on carb and dizzy? Last edited by ardonfast; 05-07-2017 at 11:06 PM. You need an early K10, later ones had an "electronically controlled carburettor" All K11's are multipoint fuel injection. 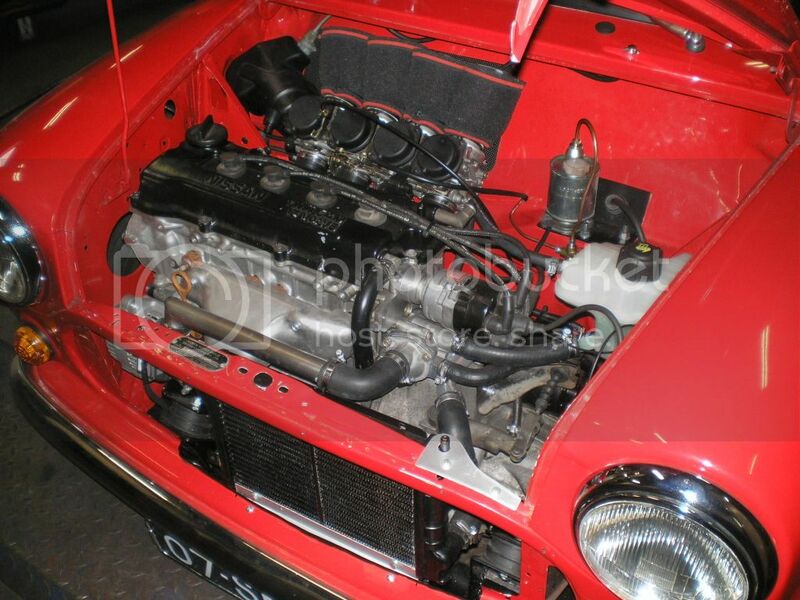 There are a few carbed CG13 engines about, most in Mini's. I don't know the ins and outs of what is required though. I'd just leave one fuel-injection and just put fuel in. A 1998-99 3-door 1.3 with power-steering and no sunroof should do the trick. i get ya,, i saw the link,, aint that L,JONES or close on hear? i saw it on my google travels,, and other similar claims,, all good work though!! lost photos took the sting out of the ring though. i just feel the nissan 1.3 16v can be tweaked up to the much sort after and older suzy swift motor, that motor is gone now> as a resinable(pick one up cheep and good) slim pickings!!! Last edited by ardonfast; 07-07-2017 at 02:11 AM. Yes Ljones has his build on here, bike carbs and a simple ignition kit. It's more a case of the biggest restriction being the manifolds, not the fuel injection. 90 to 95 hp should be possible from a CG13 with better manifolds and no other changes. Last edited by Artstu; 07-07-2017 at 07:41 AM. chears ears,, i dont need at moment so cool, just william exsploring at mo! aint that true about the micra being closer to a mini than the bmw! Now I'm getting the impression the cheap run around is in fact a Mini with the Micra engine in, rather than the actual Micra ?? Exhaust manifold is at the front of course and they handle quite well with just slightly lower and stiffer springs. Last edited by ardonfast; 08-07-2017 at 09:49 AM. Pics can still be found here Hello! lrjonez shared an album with you. thats clear thanks, i didnt go through them at the time due to p,bucket nonsence but now see that your album still works, just off for 1 moment, how do they still work?